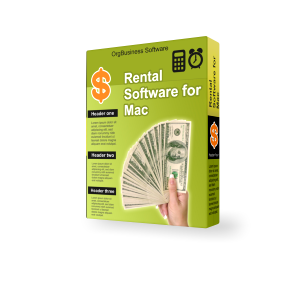 Rental Software designed to be used on Mac (OS X) is centered towards all businesses of any size that operate in the rental market. Rental businesses require proper management of all resources that are rented out in a proper manner, to ensure effective running of the business. 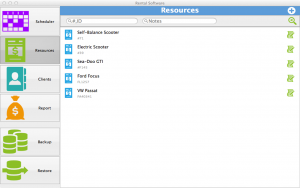 The software enables rental businesses to organize all rental activities including keeping proper and complete track of rental units and accordingly proper planning of renting out all resources can also be managed. The easy to use interface of the program facilitates easy calculations besides the option of instantly viewing lease terms, professional events, looking up important information based on which important decisions are made and determination of available renting time. The program eliminates completely the need to go through a heap of paperwork to find required important information. The sorting and searching options are the main functions using which users can easily browse through a treasure of data and find the required information. 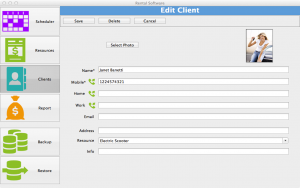 Through use of this Rental Software program you can rent and record all transactions relating to any product’s rental business such as DVD rentals, video and video games rentals, car hire, electronics and camera rentals, baby gear rentals, boat, motorcycle and bike rentals, heavy equipment rentals, property and hotel rentals, rowboat and canoe rentals, etc. 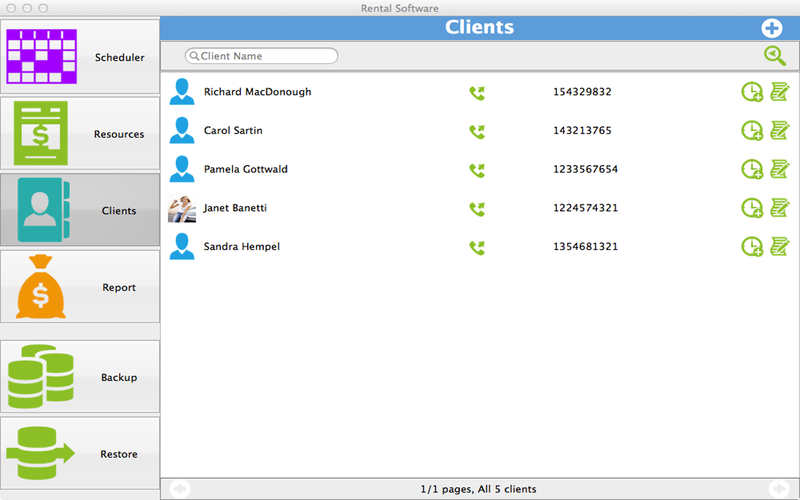 The simple interface distributes all the functions of the program into four categories represented in forms of icons in the main menu of the program. 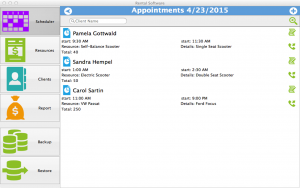 These include Resources, Clients, Reports and Scheduler. 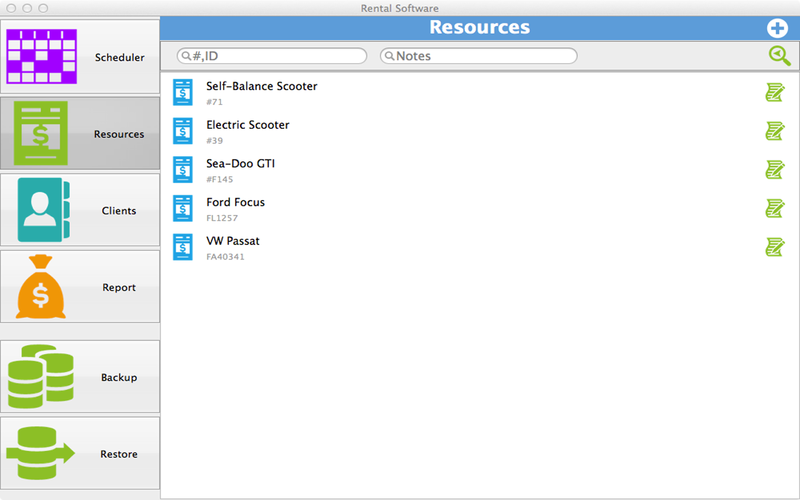 The resources section holds information about every resource that is rented out to others. The Clients section holds in the profiles of every client the business rents out its products to, including their address, emails, mobile and telephone numbers. 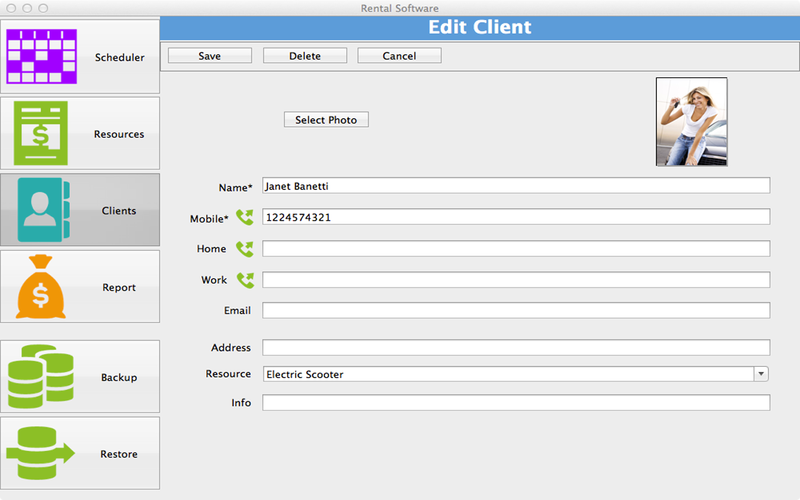 The program also allows the provision of capturing the client’s and the rental resources photos that can be stored in the database with other records. 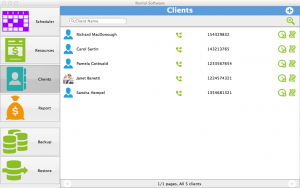 The program can also be used to make Skype calls directly to clients besides making direct phone calls on the saved number as well. The Reports section reveals the total financial details of the business with the daily earnings report stating how much rent was earned on which resource and the total earnings of the day. 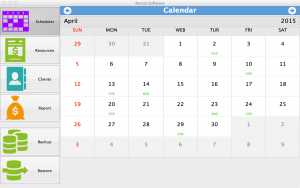 The Scheduler is a calendar that shows day to day details. 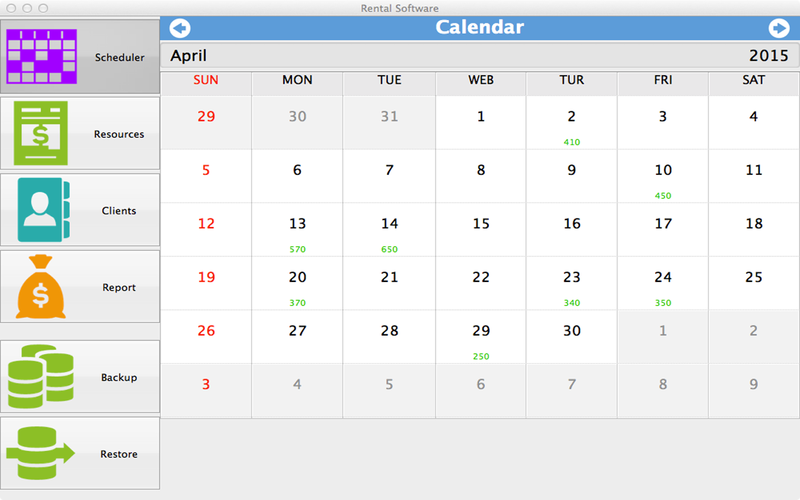 You can select a date on the Scheduler and it will reveal all details of activities performed on that day. These activities include total daily earning showed on the corner of every date on the calendar along with details of orders and earnings of the day. 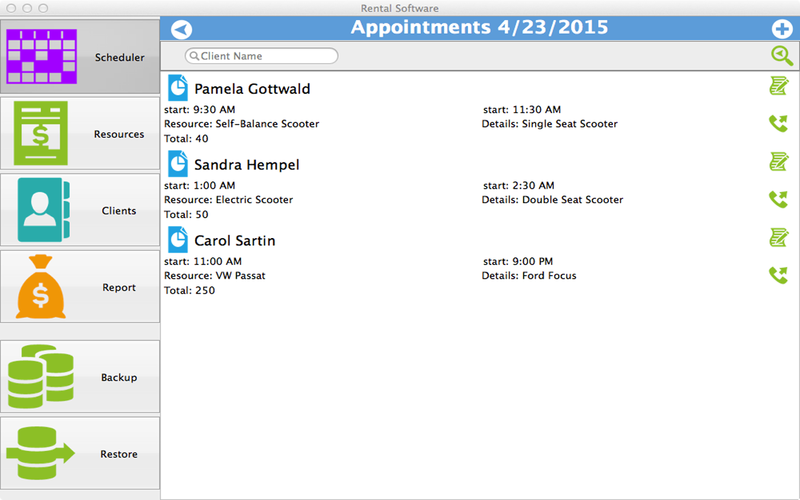 The calendar is also very useful in quickly checking out daily or future appointments and viewing it new appointments can also be instantly made. To keep your data secure and to make it compatible with other devices such as Android and Windows Phone, the current database on your Mac can be restored on other devices too. You can install the required program available from respective stores.